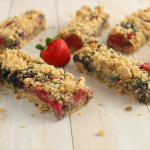 A healthy, easy and delicious way to start your day! 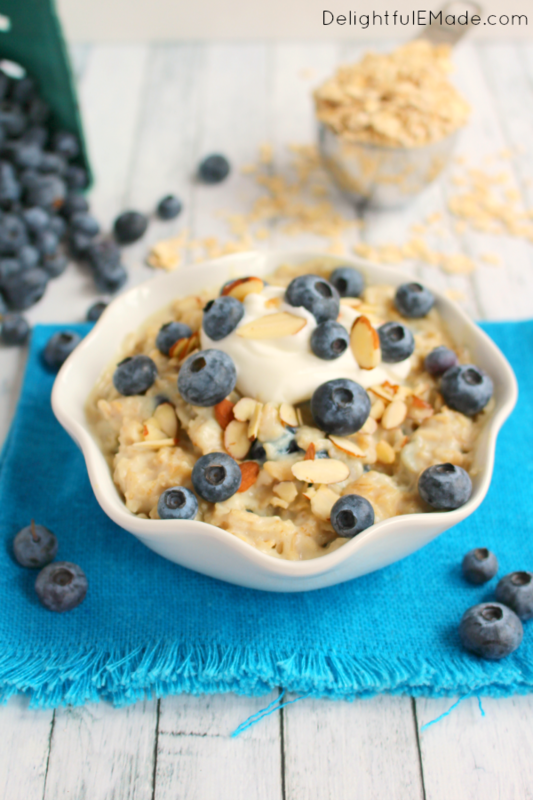 Creamy, delicious vanilla oatmeal mixed with plump, fresh blueberries make for a breakfast that’s loaded with protein and fiber keeping you full all the way to lunchtime! Once I get back home, I’m usually quite hungry. After all that hard work, the last thing I want to do is put junk into my body. Ideally, I want something that will refuel my body, but also keep me full until lunchtime. For me, this means a good mix of protein and fiber. 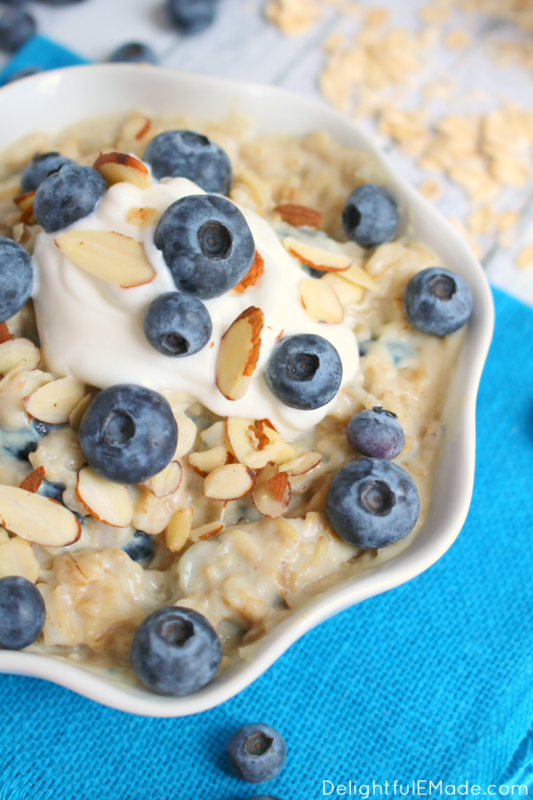 I’ve come up with a delicious, healthy and filling breakfast option in my Blueberry Vanilla Protein Oatmeal. I recently tried EAS Complete Protein Vanilla Protein Powder in my oatmeal. Wow! It tastes amazing! 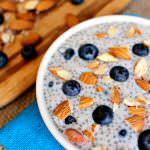 It’s such a great way to add some extra protein into my breakfast, and also adds a nice, creamy vanilla consistency with the hot cereal. I also picked up some EAS Complete Protein, Chocolate Fudge shakes, which are fantastic for me when I want to satisfy my chocolate craving, but do it in a nutritional way. 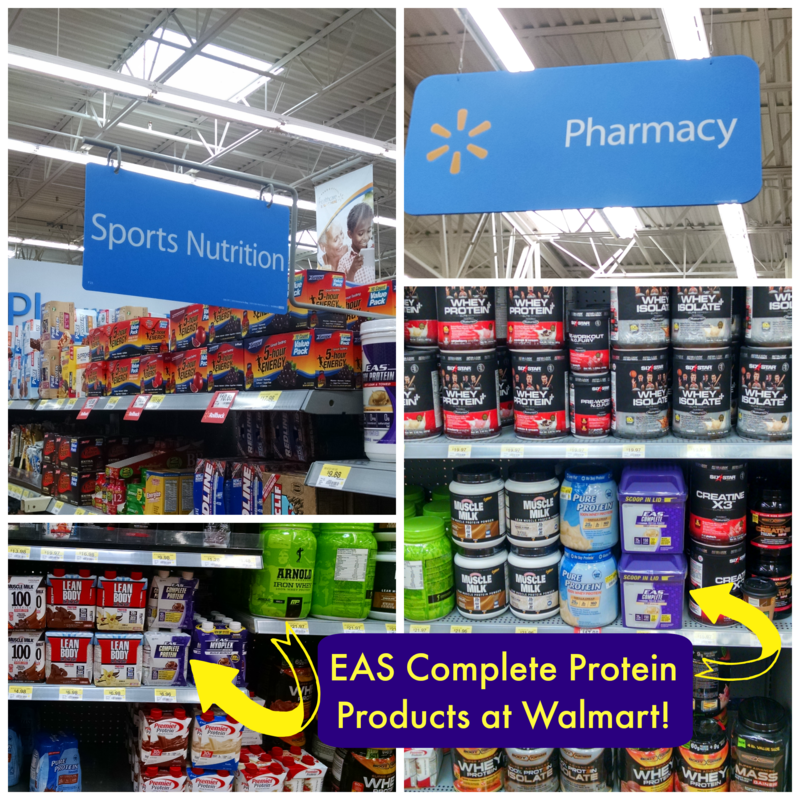 You can find EAS Complete Protein Powder and Shakes at Walmart. Look for these in the Sports Nutrition aisle within the Pharmacy section at your neighborhood Walmart. I incorporated the EAS Complete Protein, Vanilla Protein Powder into my oatmeal. 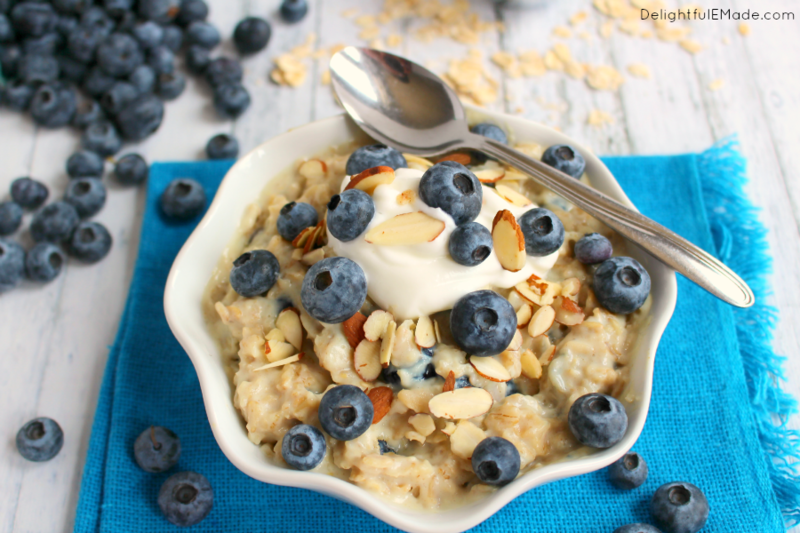 It gives it an amazing, creamy texture to the cereal and the vanilla flavor is fantastic with the blueberries! I love the fact that the protein powder not only tastes amazing, but it helps keep me stay full along with building and repairing muscle mass post workout. The EAS Vanilla Protein powder is also supplemented with calcium, fiber, vitamins, and minerals, and benefits my bones and digestive system, too! I typically cook up old fashioned oats, as I prefer the texture, but you can also use steel cut oatmeal. 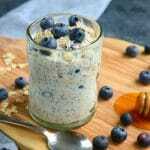 To make this delicious Blueberry Vanilla Protein Oatmeal, I simply cook my oatmeal as directed, except I add an additional 1/4 c. more water (1 1/4 c. total water). Adding the extra water helps ensure the oatmeal is extra creamy when adding the 2 scoops of protein powder. I stir in the protein powder once the oats are done cooking. 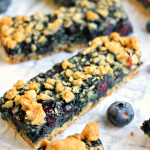 I then cover for a couple minutes, then stir in my blueberries – you can use fresh or frozen berries. For a little extra creaminess and some crunch, I like to add a dollop of vanilla Greek yogurt, and a sprinkle of slivered almonds. These are both optional, but I enjoy them as they add a nice texture to the cereal. 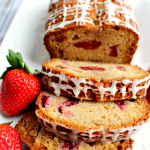 A healthy, easy and delicious way to start your day! 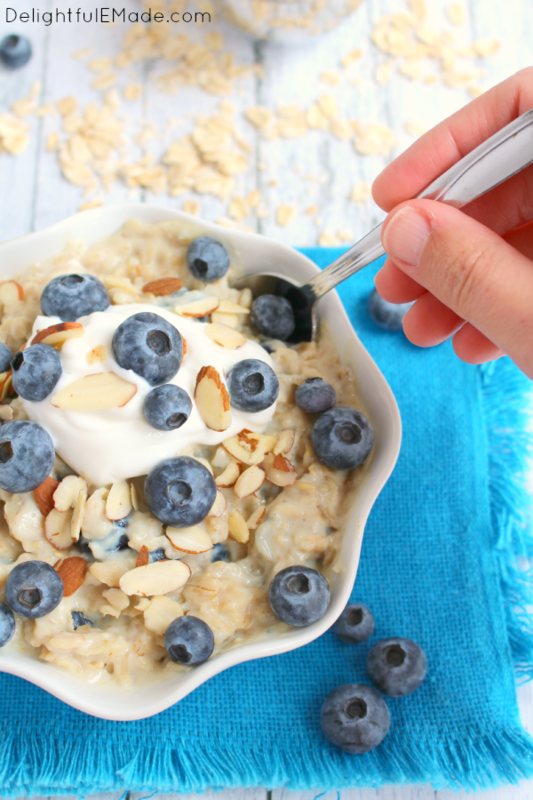 Creamy, delicious vanilla oatmeal mixed with plump, fresh blueberries make for a breakfast that's loaded with protein and fiber keeping you full all the way to lunchtime! When the oatmeal is done cooking, stir in the two scoops of EAS Vanilla Protein Powder. Cover and let the oatmeal sit for a couple minutes. Stir in the blueberries. 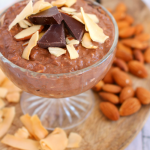 Pour into bowl, and top with yogurt and almonds if desired. Enjoy right away. As you can see, this breakfast takes just a few minutes, which makes for a great way to start even the busiest days. Are you on a fitness journey as well? 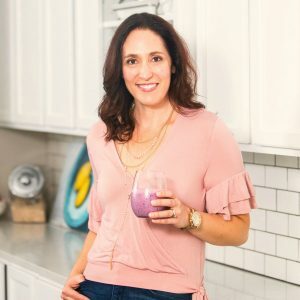 I would love to hear what motivates you to stay fit and healthy, and your favorite breakfast or lunch ideas to keep you refueled along the way. 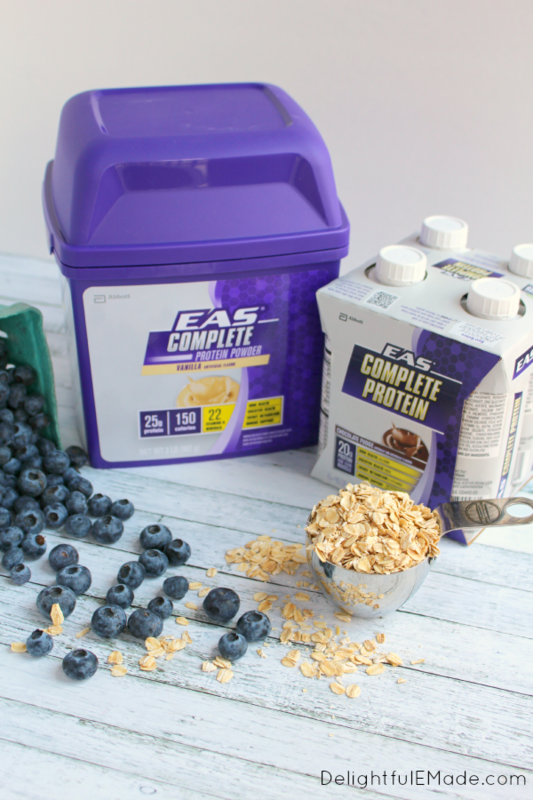 Do you use EAS Complete Protein to help refuel? Let me know in the comments below. Erin, This oatmeal looks absolutely delicious! 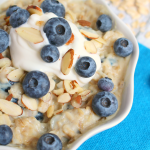 I've never used protein powder, but it makes sense to add it to oatmeal. I also workout at sunrise, and I love it! Everyone is still asleep, so there's nobody asking me for anything as I walk out the door :) After my 8 miles, I feel like I'm ready to face the day! This looks like the perfect, balanced breakfast! 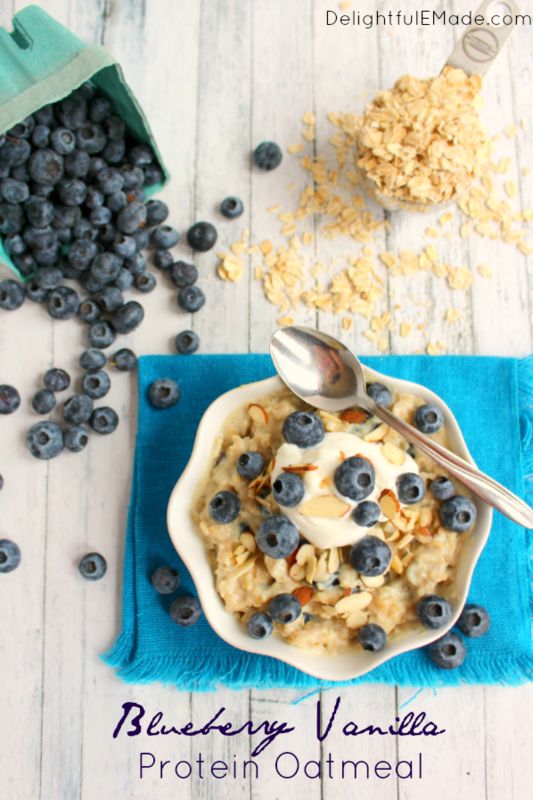 I love blueberries and oatmeal together. It's like a perfect marriage. Happy I found you on the Tuesday Link party!